I decided that this fall would be a “no orange” decorating season. I’ve been collecting fall decor for nine years, and I just felt it was time for a change from the usual orange/red/yellow/brown palette. In order to do that on a small budget, I had to work with what I had on hand. I picked up a few bottles of acrylic paint and package of sponge brushes from Hob Lob, and went to work. This project was so simple and fun! I’m not a crafty person, but I really enjoyed giving my pumpkins the Fairy Godmother treatment! I gave them at least 3 coats of paint, allowing an hour in between coats to dry. For the polka dots, I used a q-tip and swirled it in a circle. My pine cones were looking a little boring, so I used the sponge brush and dabbed a little gold metallic paint on them as well. I love how everything turned out! I’m doing a full fall decor tour during Vlogtober. 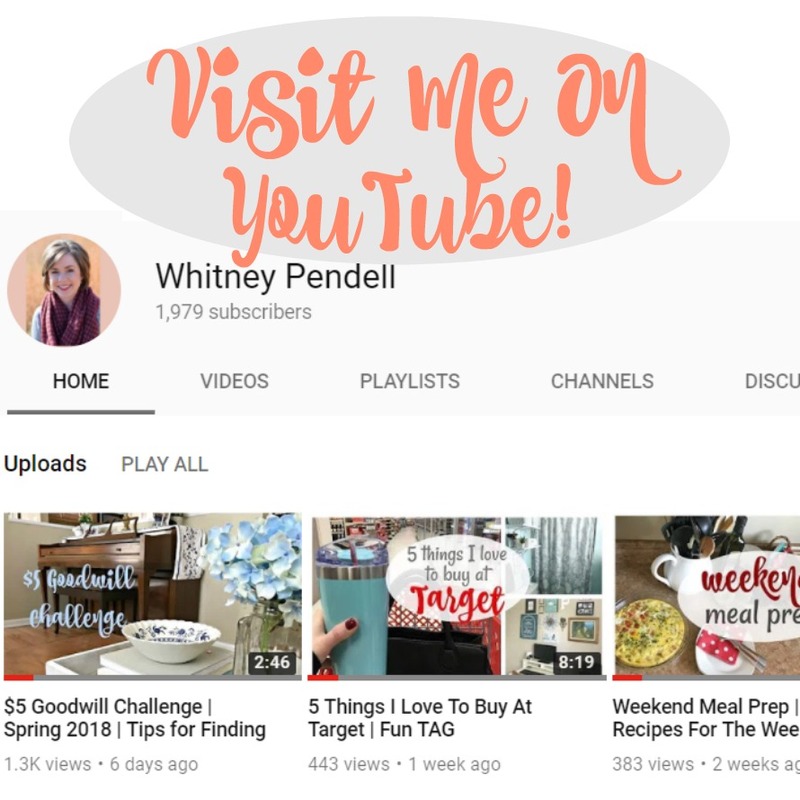 Make sure you’re subscribed to my YouTube channel if you want to see that! 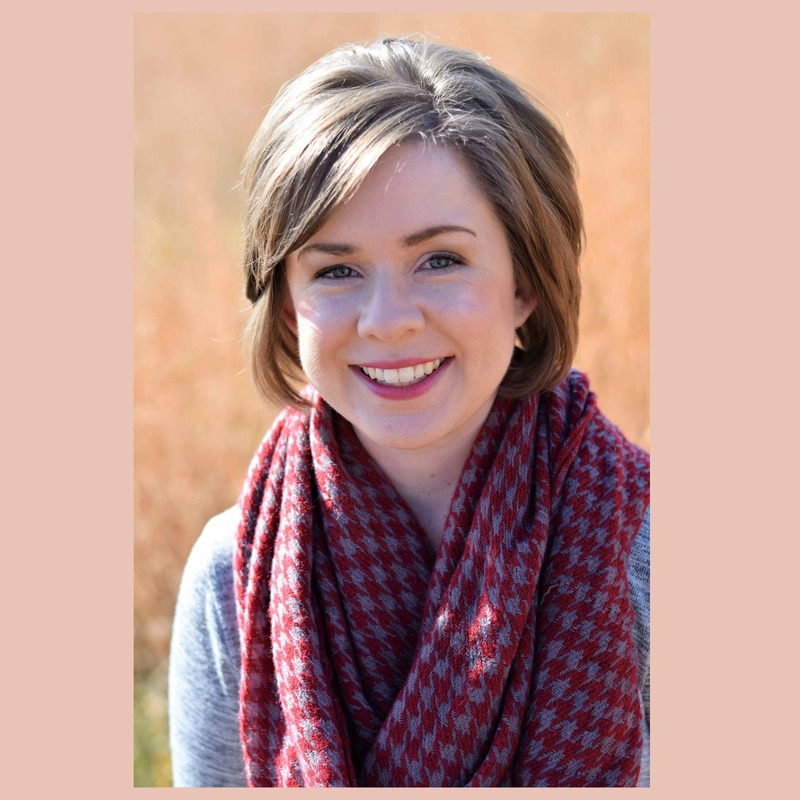 Previous Post 31 Things + A Birthday Giveaway! I LOVE THIS. I am going to give it a try. I have everything I would need. Maybe I’ll attempt this while C is in school this week. 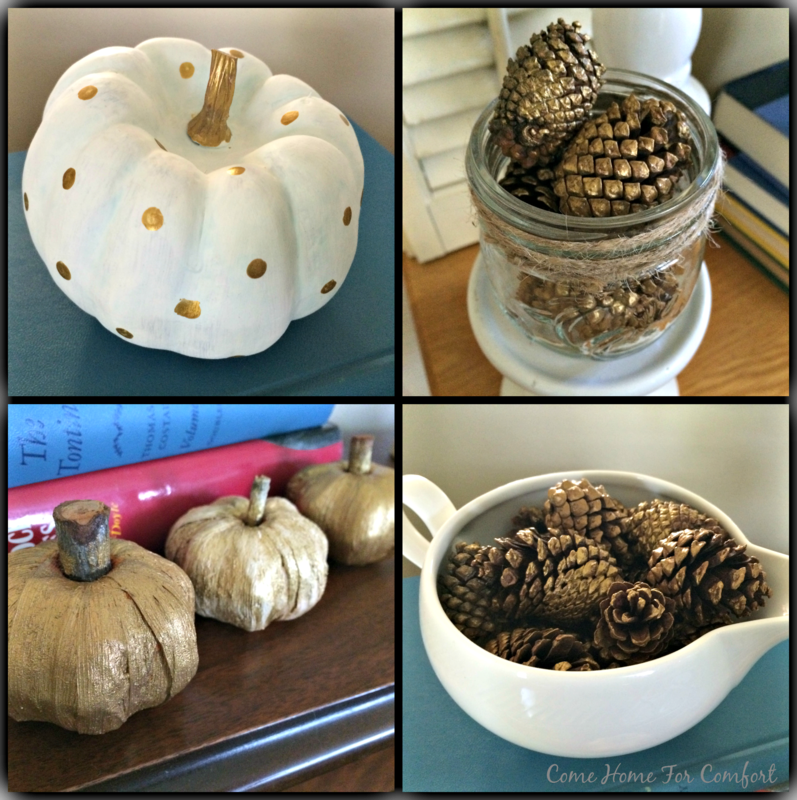 I am so glad I painted my pumpkins – I hope you enjoy the project as much as I did! So cute! I would love to do this (or glitter) for a pumpkin!!! We still need to pick some up. Glitter would be so cool! Great idea! I was wondering how you made the polka dots. Great idea to use a Q-tip! I REALLY like this look. My living room is an orangey/yellow color, so I don’t like decorating with additional oranges and red to avoid over-kill. Great idea to do more of a gold/cream/brown color pallet. I might have to steal it ;-). It adds a nice touch of seasonal glam! Go for it! Yay! 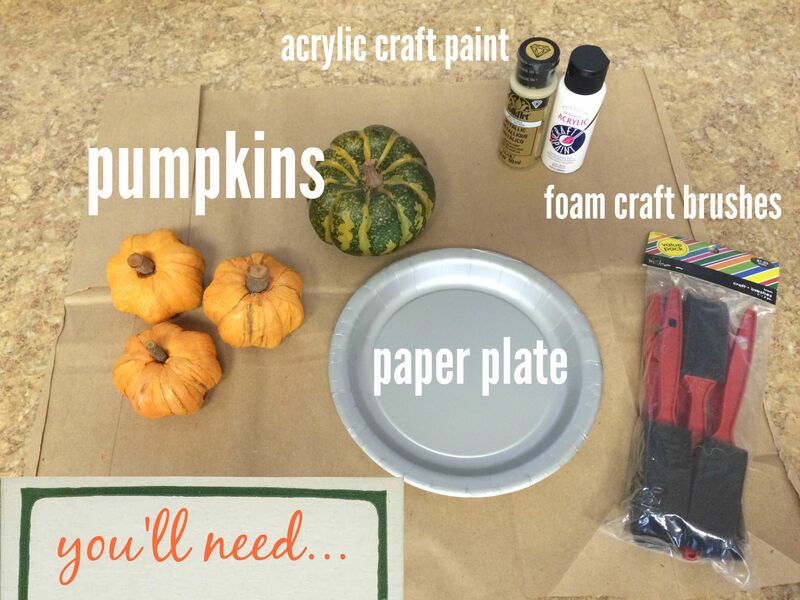 A craft project for us non-crafters. I love how the polkadots turned out. It looks great! Yes! There’s hope for the non-crafters after all! 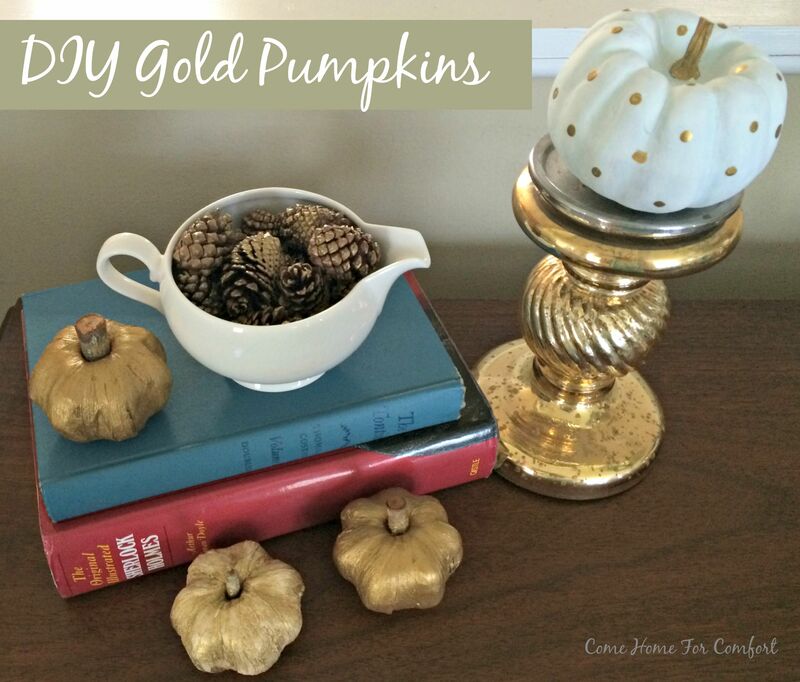 I love the gold look you gave your pumpkins. I especially love the one with gold polka dots! How pretty!! I love the updates you gave your decor. I also love the fairy god mother treatment label. I think your decorations would be perfect from now through Thanksgiving. Great work 🙂 Also, love that polka-dot pumpkin!! I’m not surprised that you like the polka dot one! 🙂 Thanks – I guess I have major Disney brain and it’s influencing my post titles. Haha! Great ideas Whitney! Looking forward to seeing your fall tour.